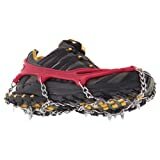 As far as finding the best traction cleats for ice and snow is concerned, the choice largely depends on your unique needs circumstances and needs. Factors like where you intend to use your cleats and how frequent you intend to use them will greatly dictate which one is the best for you. If you’re looking for cleats to maneuver daily snow and ice, longevity and durability are vital to ensure high performance and cost-effectiveness. So, whatever it is that winter throws your way, the following best traction cleats for snow and ice will help you handle it. This traction system delivers extraordinary traction on icy winter trails. 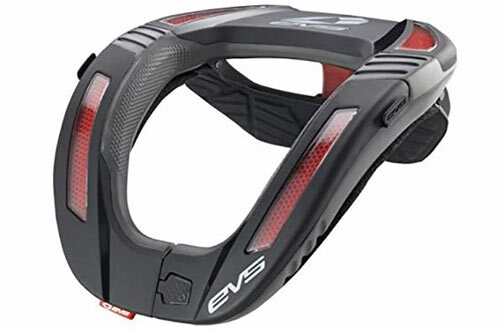 It’s perfect for hiking walking, trail running, and snow shoveling among other sports. 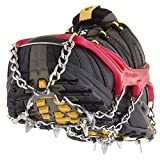 Made of top quality stainless steel, the strategically put spikes and flex chains work together to dig into the ground and grip any kind of terrain. 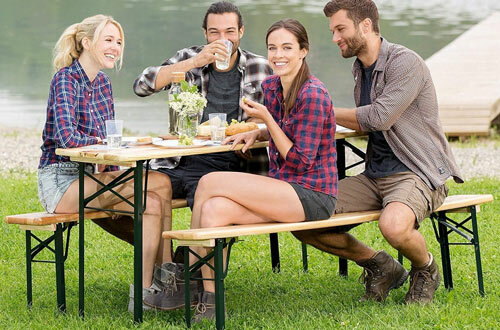 The traction system is easy to use with any shoes and is sturdy enough to handle any kind of adventure. It also packs down well to fit in your pocket when you aren’t using it. These traction cleats are made from heavy-duty materials so as to accommodate an active lifestyle. With the strong abrasion-resistant coils and heavy-duty natural rubber, the cleats easily attach to and conform to your boot’s or shoe’s shape. These cleats are made without spikes, hence making them much easier to wear and remove without injuring your hands. 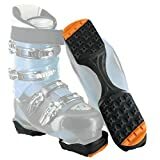 With the use of a patented Skidlock coil design, these cleats give you 360-degrees of traction on packed ice or snow, letting you run, walk and even jog naturally like you would on a dry surface. 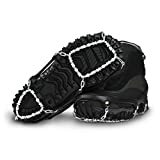 This diamond grip traction system from ICEtrekkers helps keep you on your feet when you are passing through snowy trails and icy sidewalks during the winter season. 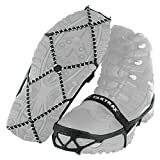 It attaches easily to a many of footwear for greater, aggressive traction on the winter hikes and outings as well as snow shoveling adventures. The rubber wrap system stays stretchy even at subzero temperatures and securely holds the aircraft-grade-steel, diamond-shaped tread in place. It comes with self-cleaning grips to help prevent thick snow or ice buildup. This traction device is important for added traction whenever you’re out hiking deep in the backcountry or just on the local trails. 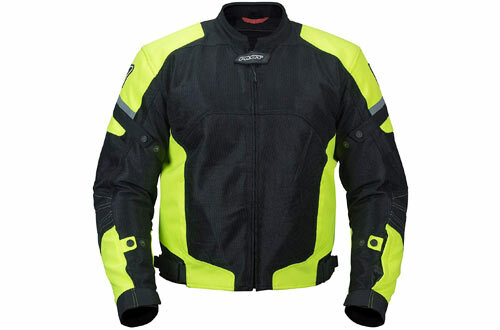 Tested on the Himalayas trails, this device is guaranteed to handle different winter terrain and weather conditions. 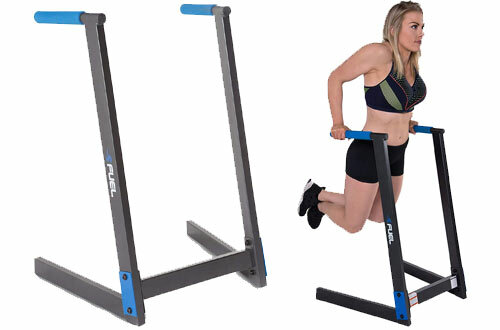 Using an ergonomic plate system, this device provides great traction and lessens muscular fatigue for your winter outdoors pursuits. This is a strong ice gripping sole that offers instant traction on all snow, ice, or mud. This heavy-duty snow and ice cleat provides maximum traction on slippery surfaces. Winter can sometimes be tough, but stabilizers are tougher. The sturdy soles with case-hardened steel cleats dig into the slipperiest ice and snow to provide you with the stability you need. To use them, simply attach your stabilizers to your favorite boots or shoes with hook-and-loop fasteners and never allow icy conditions to keep you indoors ever again. This footwear traction is perfect for providing traction and support wherever you go. 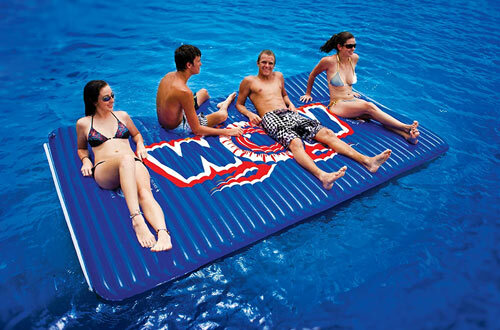 It’s made of stretchable rubber external band with steel spikes and chains for greater durability. 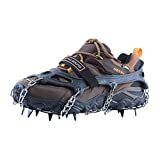 Whenever you feel you need more traction, just stretch these spikes over your shoes or boots to provide you with an additional grip on ice, snow, rocks or a slippery terrain. 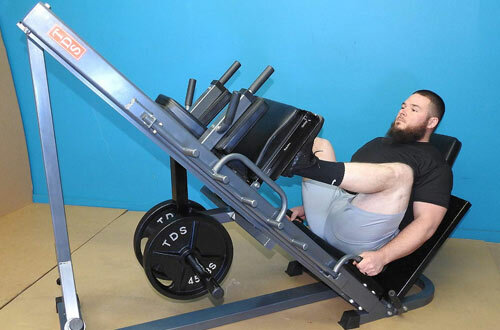 The spikes are sturdy and lightweight, hence can be carried in a backpack or bag to be used any time you come to a place you might require extra support. Keep your new ski boots’ soles clean and free from the dangerous heel and toe wear and tear by using this amazing boot protection. Rocky packing lots and concrete sidewalks can erode the soles of your new boots fast, eventually resulting in fit issues. These boot protectors easily stretch over your boots’ soles from heel to toe, providing you with extra traction on ice and snow whilst reducing unnecessary wear.